Average CO2 emissions are on the rise from British Vehicle Rental and Leasing Association (BVRLA) member lease cars as a result of Government’s tax drives on company cars and increasing diesel demonisation. So says the BVRLA as its latest Quarterly Leasing Survey shows CO2 emissions rose 0.9% to 110.7g/km in Q3 2017 compared to the same period in 2016 (110.7g/km). Although average CO2 figures for newly registered BVRLA member lease cars remained stable at 111.7g/km in Q3-2017 almost unchanged from the previous quarter, the BVRLA said the rise in the Q3 figures is the outcome of an increased focus on NOx and company car tax measures that are driving people to personal contract hire. This is backed up by survey figures that show diesel car registrations by BVRLA fleet members fell by 4.7% in Q3 to 63.4% from 68.1% last quarter. 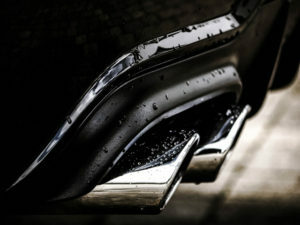 Petrol cars represent 20.4% of the total car fleet, up 6.6% year-on-year and 2.5% on last quarter, indicating that the shift away from diesel is predominantly moving towards petrol. Chief executive Gerry Keaney commented: “We currently have a poorly designed tax environment that encourages people to make their own arrangements rather than choosing a company car. This is putting older, higher-polluting grey fleet vehicles on our roads. The research comes as latest Kwik Fit analysis modelling the impact of a scrappage scheme found that switching drivers to petrol would increase CO levels as well. Although overall CO2 emissions are gradually increasing, newly registered BVRLA member lease cars still have average emissions 8% lower than the overall UK new car market, which emit on average 121.3g/km, up by 0.7% year-on-year and on the previous quarter – and Keaney highlighted how the fleet and leasing industry can help drive down CO2. “With the right tax regime, incentives and government communication, the fleet industry can have a huge impact on improving air quality across the country,” he commented. The latest BVRLA Quarterly Leasing Survey also showed that the total business fleet leasing market for cars and vans has grown 2.5% year-on-year to 1,338,000. Although 1% down on the previous quarter, this follows two consecutive quarters of growth. Figures for Q3-2017 show that the car portion of the business fleet leasing market fell 0.3% to 964,000 year-on-year, outstripped by the LCV sector which had its ninth consecutive quarterly increase, up by 10.3% year-on-year to 374,000. Total car leasing (all leasing types) grew by 6% year-on-year, down from 11% in Q1-2017. Much of this growth continues to be driven by the personal contract hire (PCH) segment, although growth rates have slowed in 2017. The latest Q3-2017 data from BVRLA members shows that the PCH sector grew 28% year-on-year representing a significant slowdown. Figures from the same period last year showed a 49% year-on-year increase.